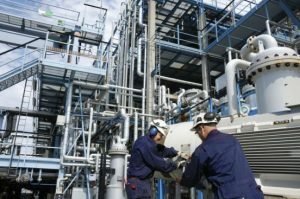 Asset owners and their staff need to consider safety instrumented systems and safety instrumented functions as vital components within process safety. The risks to health, safety and the environmental are required to be reduced to an acceptable level, So Far As Is Reasonably Practicable (SFAIRP) or As Low As Reasonable Practicable (ALARP). It is also recommended that any commercial risk to companies should be reduced to acceptable levels for the relevant business. This two day course, which includes IEC 61511 Edition 2 (2016) latest information, will provide you with fundamental awareness and knowledge of the principal requirements of IEC 61508 and 61511. Personnel involved in the assessments, engineering, management, operating or maintaining of functional safety systems. This includes managers, supervisors, design engineers, instrumentation engineers, process engineers, safety engineers, operating and maintenance personnel and anybody seeking to progress within the field of functional safety. There is normally no formal assessment. However, there is a highly recommended optional test at the end of each day, which on successfully passing a certificate of achievement for the course will be issued.